Invited by the Chief Curator of the São Paulo Bienal, Luis Pérez-Oramas (The Estrellita Brodsky Curator of Latin American Art at The Museum of Modern Art, New York), Dr Julio d’Escriván gave a concert with his performing partner Iñigo Ibaibarriaga, of Bilbao, Spain, presenting their project FUSIL as part of a series of sound and music performances that were organised to run as a complement to the Bienal’s prestigious art offering. 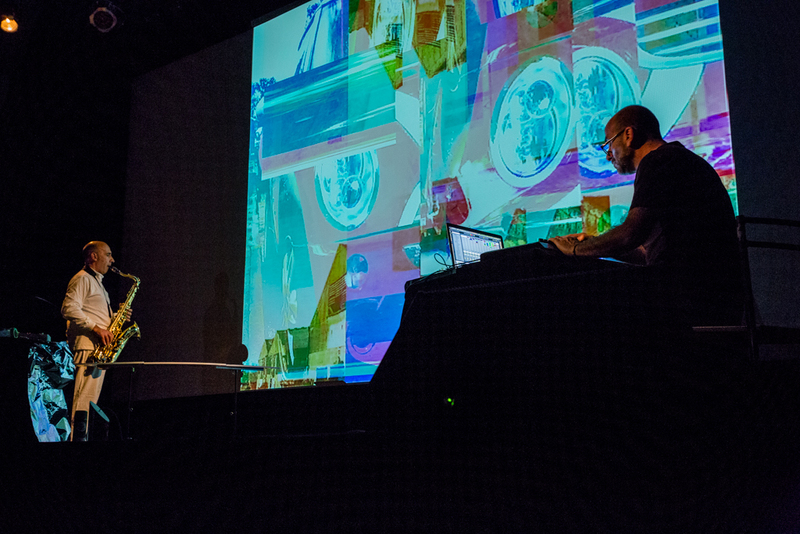 A live acoustic and electronic instruments performance with Ibaibarriaga on Saxophones and found objects and d’Escriván on video and electronic processing of audio, their work fits broadly within the emerging ‘Live Cinema’ trend of making music to image in performance. Partly improvised, partly composed, partly devised, the show takes viewers through six live audiovisual scenarios from night-time vistas of water reservoirs in the English Peak District , through newsreels of old Kyoto, early twentieth century industrial film footage and urban collage. 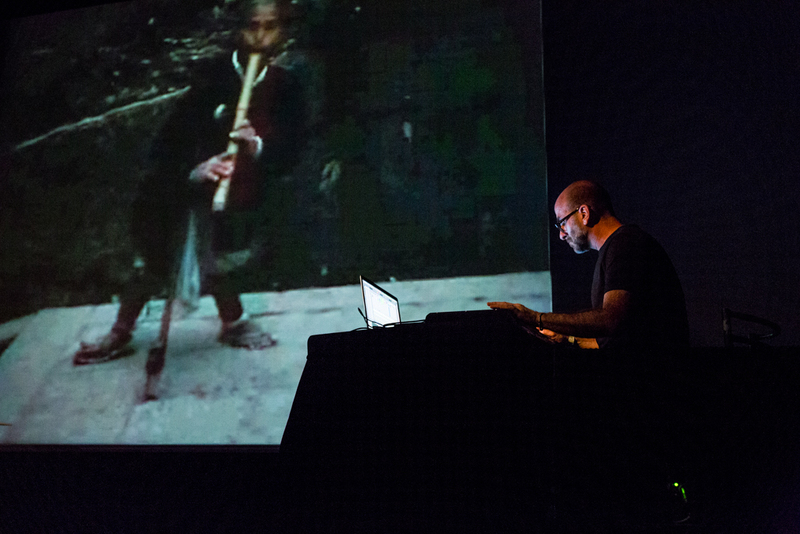 The performance took place at the Museo de Imagem I Som in São Paulo in the evening of the 24th of November and was warmly received by an appreciative audience. The Bienal de São Paulo was initiated in 1951 and is the second oldest art biennial in the world after the Venice Biennial, which was set up 1895 and served as its role model. The Bienal de São Paulo was founded by the Italian-Brazilian industrialist Ciccillo Matarazzo (1898-1977). Since 1957, the Bienal de São Paulo has been held in the Ciccillo Matarazzo pavilion in the Parque do Ibirapuera. The pavilion was designed by a team led by architects Oscar Niemeyer and Hélio Uchôa, and provides an exhibition space of 30,000 m2. The Bienal de São Paulo features both Brazilian and international artists, and is considered to be one of the most important art exhibits in the world.